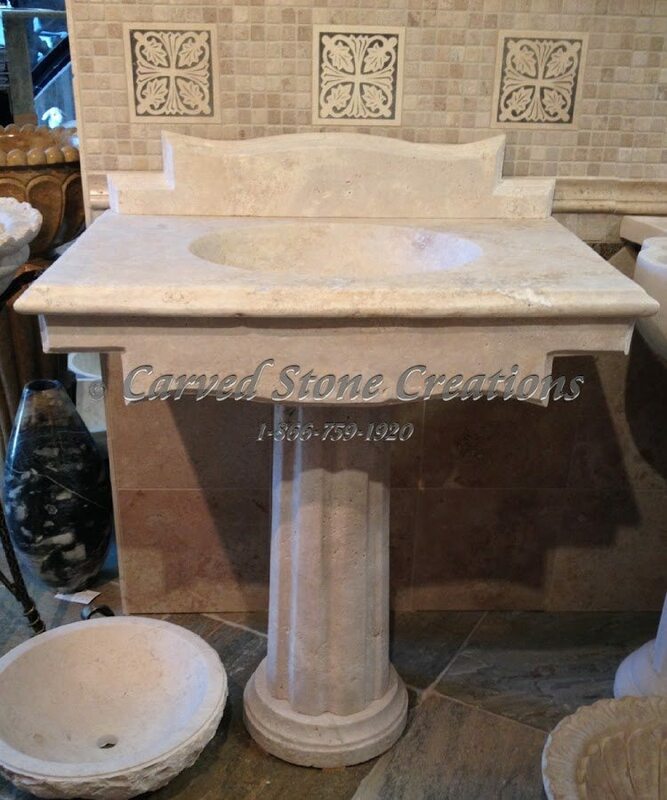 Vessel sinks are a great option because they show off the beautiful qualities of the stone! They sit on top of the counter or vanity instead of sitting flush with the countertop. This particular design is carved from Dark Emperador marble. The white veining contrasts with the overall dark color of the stone. Take a closer look at this sink design. This sink design features classical carving details on the apron, backsplash and column base. This pedestal sink gives you extra counter space around the basin, so you have room to set a soap dish or other bathroom accessory next to the basin. Learn more about this sink design. Boulder sinks add a touch of rustic flair to your bathroom. Each sink is carved from a one-of-a-kind boulder, so your sink design will never be 100 percent replicated anywhere else. 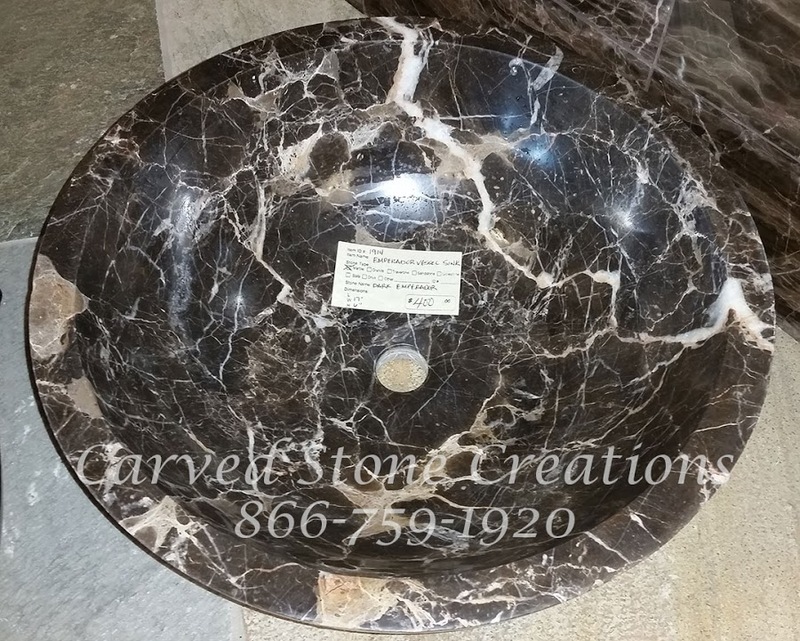 This boulder sink features a rim around the basin and polishing to bring out the natural beauty of the stone. Check out the details of this boulder sink design. Dont see the sink style youre looking for? Contact us and well work with you to design a custom sink that fits your home perfectly.